PLEASANTON, CA -- (February 15, 2017) - Maddie's Fund®, a national family foundation established by Dave and Cheryl Duffield to revolutionize the status and well-being of companion animals, has awarded Cat Town $162,500 to expand Cat Town Café, a cage free adoption center, in partnership between Oakland Animal Services (OAS) for cats most at risk of euthanasia, including seniors, sensitive and special needs cats. This investment will provide Cat Town the opportunity to increase capacity to create an additional, separate environment for more shy and sensitive cats. Cat Town Café is the first cat café in the country, attracting hundreds of visitors weekly and offering a quick adoption process. The cats at the café have increased playtime and significantly higher confidence because they are frequently exposed to potential adopters. With the grant, Cat Town will be able to grow their current location into a 1,500 square foot property. The additional space will create an atmosphere for the most shy and sensitive cats to acclimate to a more social environment by providing them with private, smaller space. It will also allow cats with medical issues to be isolated, while still having the opportunity to be adopted. 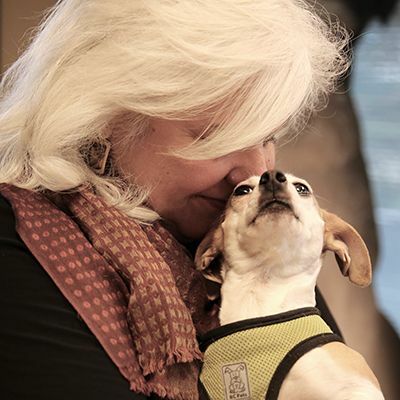 "The receipt of this grant is a game changer for Cat Town and our ability to save the cats at greatest risk for euthanasia at Oakland's municipal shelter," said Ann Dunn, founder and executive director of Cat Town. "Thanks to Maddie, we are creating a model for saving cats who seem unadoptable in a stressful shelter setting, but really just need to meet potential adopters in an environment where they are more comfortable." "Cat Town has already provided tremendous opportunities for at risk cats at OAS and we are confident that expanding their current location will only increase the number of adoptions," said Shelly Thompson, Director of Grants at Maddie's Fund. "When cats are comfortable, adopters can see them at their very best. This new location will not only place cats in a more relaxing environment, but it will also allow them to be seen at their full potential."